The Czech Republic is the fourth most open country for foreign investments in the world. But it has no control mechanism to prevent risky foreign investment, and economic and political influence from the East is growing rapidly, reports EURACTIV.cz. Czech President Miloš Zeman started his second presidential mandate last month, promising to “continue my efforts for economic diplomacy,” in his inauguration speech. 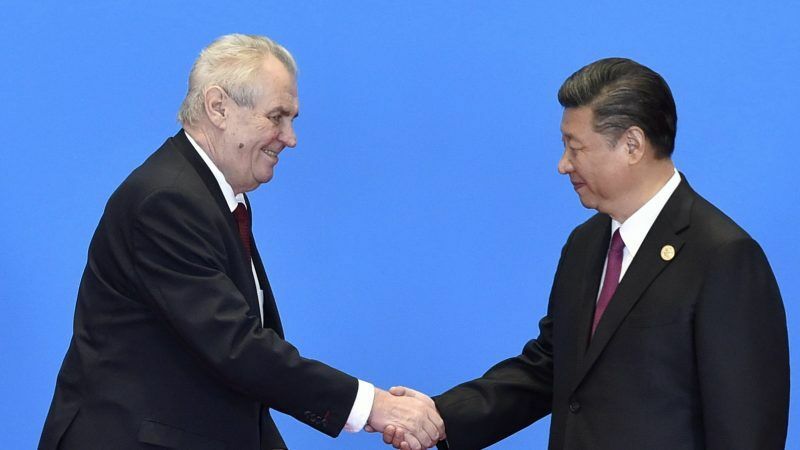 Zeman is a strong supporter of the Chinese New Silk Road Initiative and plans to continue to attract Chinese investors to his country. Czech entrepreneurs welcome these efforts, but national security experts are getting nervous. “A new era of mutual cooperation between the Czech Republic and China has increased interests of Chinese investors in the critical infrastructure,” said Petr Lang, Programme Director of the Prague Security Studies Institute (PSSI), warned. Ivana Karásková from the Association for International Affairs warned that The New Silk Road is just a way for the Chinese government to strengthen its geopolitical influence in Central and Eastern Europe. “China always does what is beneficial for China. On the other hand, the Czech Republic opens its markets without any conditions and questions. We ignore the ways how China operates here,” she stressed. In her opinion, introducing a mechanism to screen potential investments is crucial for Czech national security, a view shared by Czech MEP Dita Charanzová (ALDE), who said: “Half of the member states already have such control mechanisms in their national legislation and they use it”. According to the OECD’s Regulatory Restrictiveness Index, the Czech Republic is the fourth most open country for foreign investments in the world. “The Czech secret services regularly warns about economic penetration of foreign powers into strategically important sectors. Despite this, there is no effort to do something about it,” Lang added. If the government does not implement the system, the Czech Republic could become a gateway to risky foreign investors in the EU single market, PSSI warned. However, Lang stressed that China is not the only problem. “Most of the important Russian companies are also directly or indirectly controlled by the state and used to fulfil goals in foreign policy,” he said. According to experts, investments in the energy sector, communications, transport, financial infrastructure or data storage are the most dangerous ones. Governments should also focus more on investments in artificial intelligence, robotics, nuclear technology or cybersecurity. Karásková pointed out that media and the influence over public opinion is also a serious problem. The Czech Republic does not have any restrictions on media purchases by foreign investors. The Chinese investment and financial group CEFC is a good example. Between 2015 and 2017 the group held a 49% share in the Empresa Media publishing group in the Czech Republic. “At a time when the CEFC had a share in the Empresa Media, all its TV channel and magazine media output about China was entirely positive. None of the analysed texts or outputs was negative or just neutral about China,” Karásková said, pointing to a media analysis by the Association for International Affairs that is a part of project called Chinfluence. The CEFC´s entry into the publishing group was signed in Shanghai during an official visit of President Zeman to China. CEFC´s founder and former executive director, Ye Jianming, who is currently being investigated by the Chinese government, is still a special advisor to Zeman. The CEFC has also been trying to buy the Central European Media Enterprises (CME), a media empire operating in six countries in the Central and Eastern Europe.